Home > Ornaments by Artist > Ken Crow > 2019 Toymaker Santa 20th Anniv Club Excl - Light, Motion, Music - Avail NOW ! 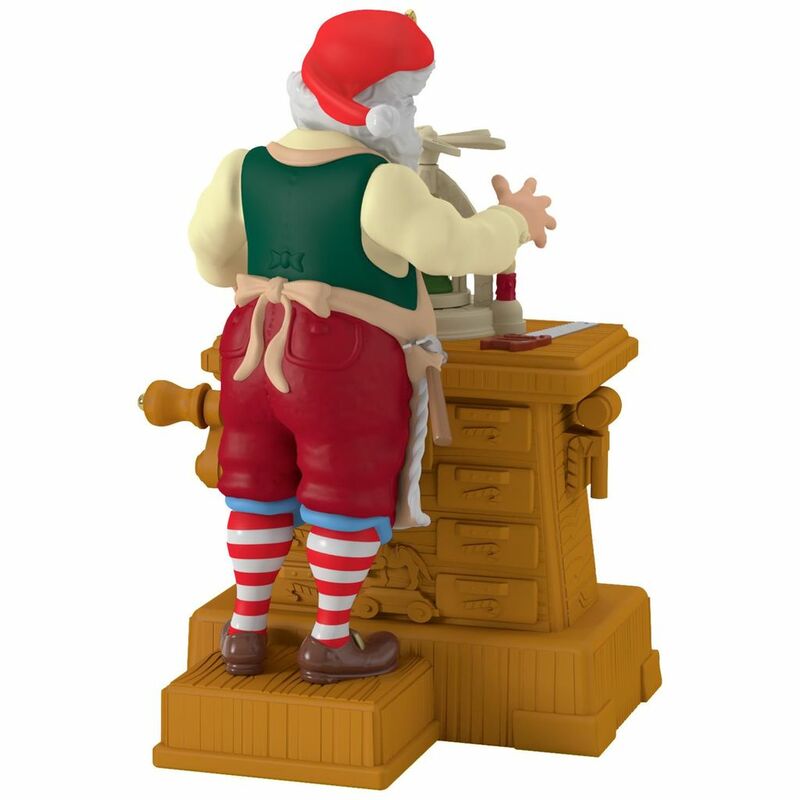 This special 20th Anniversary Toymaker Santa is a Keepsake Ornament Club Exclusive, not available in stores. 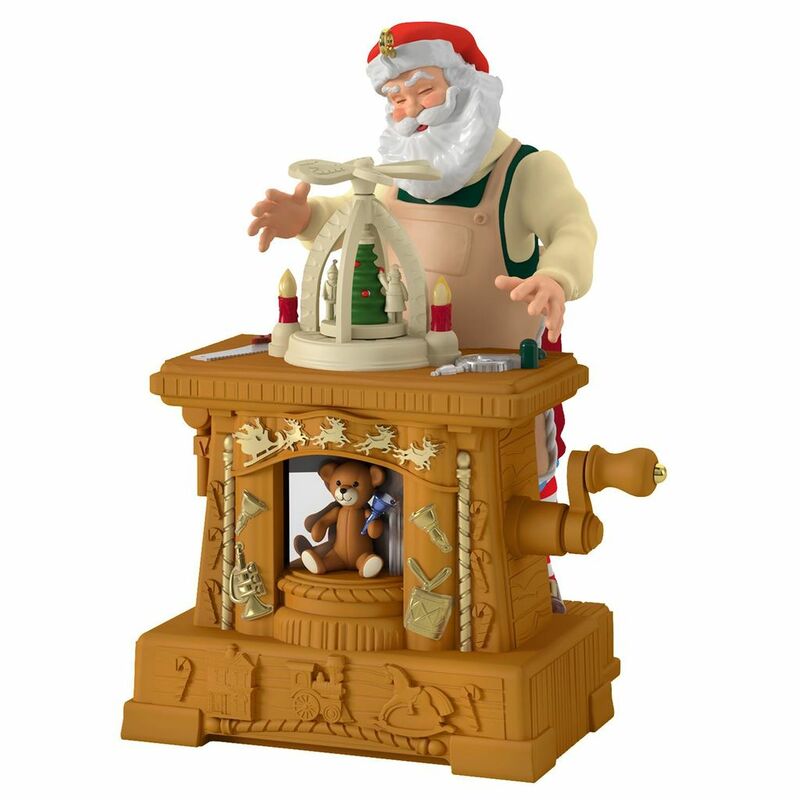 Turn the crank and this battery operated ornament features Santa making toys with light, motion and music. A truly special piece. Special 20TH Anniversary Toymaker Santa .